Sorry, it’s been a slow (outdoor) riding week and this is all I can muster. Below is a photo from behind the hill, of everyone’s favorite 21.6 km torture chamber, Mont Ventoux. 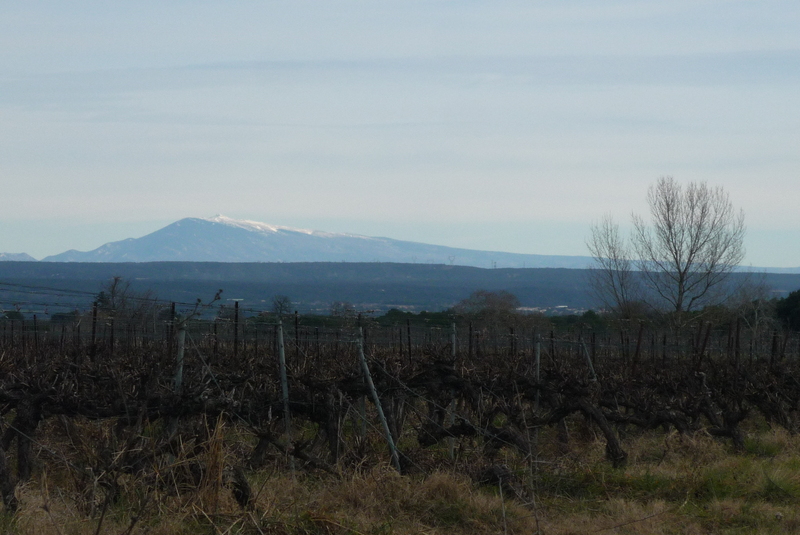 Ventoux always looks like it is snow capped, but in winter it really is. I’ve got some big plans for assaulting ‘Ol Baldy this summer. He doesn’t look nervous. This entry was posted in Cycling and tagged mont ventoux. Bookmark the permalink. Warm the mountain up for us mate! I’ll try and soften it up a bit, but can’t promise it’ll make a big difference. Currently in a neck brace so no imminent prospect of getting back in the saddle so please do a few extra kms for me! Oh, seems I’ve been skipping some important blog articles on your end! What happened? The way I felt yesterday on my ride I’d be happy to make it to Chalet Reynard. Come down to Oz for some summer training. Got in 3000m yesterday on a lovely mild day, riding up to one of the villages servicing the nearest ski resort to Melbourne. What’s Ventoux like to ride? Sounds like a dream, James, and I’d love to go back and do some hilly riding down there for a change. That would really hurt. There was a 2km section yesterday at 10-12% and that was tough enough even with a new 11-27 and chain. What cassette do you use? It’s worse than you can imagine! I have 12-27 with a compact chainring. It’s just enough.